GAMBLING in Spain is a big business for both land based and online Casino including the El Gordo Lottery. As 2015 comes to a close it will be interesting to compare the stats from last year. Statistics showed that the number of registered players to online gambling sites in Spain jumped from 2.2 million to 3.9 million at the end of 2014 according to the Spanish online gaming regulator, a number that most likely will increase by the 2015 year’s end. At the end of last year 51.7 percent of active players were new registrants of which 87 percent were made up of men and are between the ages of 18 and 45. The ‘player lifetime’ average was 3.27 months and another 41.7 percent of players participated in gambling for approximately one month. Traffic showed over 70 percent of players stayed with one online operator and only 1.6 percent had accounts at six or more other operators. 60.4 percent wagered on sports betting, 44.8 percent on poker, 20.6 per cent on casino games and 7.9 percent in bingo. On the average gambling expenses were €7,769 for men with women spending half as much. The return to player payout from all games average was 95.7 percent. Considered the largest lottery in the world is the El Gordo, translated means “The Fat One” for the massive amount of prize money awarded. It is the Spanish Christmas Lottery “el Sorteo Extraordinario de Navidad” or just “Lotería de Navidad” in Spanish. El Gordo got its name when the first prize ticket number was won in 2011 worth 4 million euros. The Christmas Spanish lottery takes place every year on 22nd December where it is televised. El Gordo will celebrate its 203nd anniversary in 2015. The ceremony for the lottery will be held at Teatro Real de Madrid in Madrid, Spain broadcasting live on Spanish TV where the lottery draw will start at 9am. Ticket purchase for the lottery is widely available including offices in Barcelona at hypermarkets, street vendors and tobacco shops called Estancos. There are long lines to buy the tickets at certain locations that are considered to be luckier than other spots and are sold months in advance. Some local bars and other businesses sell parts of a ticket called participaciones. Buy El Gordo tickets also online available not only to residents of Spain but outside of Spain at various websites. The reason the Spanish Christmas lottery is the biggest in the world is due to the fact there are many winning numbers with prizes of smaller amounts. There is a huge participation among the Spanish buying a minimum of one or more tickets at a cost of 70 euros per person. It dates back to 1812 and has grown strong ever since with an estimated 75% of Spaniards buying tickets and as some figures suggest up to 90%. The lottery is managed by the Spanish government with 30 percent from the sale of lotteries going to the government in taxes and the remaining 70 percent paid out in prize money. It wasn’t until 2013 El Gordo was taxed; before that time, it was tax free. Winners pay 20% tax on winnings over 2500 euros and under 2500 are still tax-free. There are over 15000 winning numbers with odds at 1 in 3 of winning or as some experts say 15% chance. Unlike other lotteries you don’t pick your own numbers instead pre-printed tickets with numbers are purchased. There are a total of 100,000 combinations of numbers in the Christmas Lottery ranging from 00000 to 99999. The numbers are on lottery balls placed inside a drum on the day of the drawing. Every lottery ticket features an image of a Christmas nativity scene that changes every year. On the morning of the 22nd December at 9am every year forty children ranging from 8 to 14 years old from the school “Colegio de San Ildefonso” in Segovial, formerly an orphanage, draw the balls. The yearly lottery ceremony is called “el soniquete de los Niños de San Ildefonso” and takes approximately three hours. In one drum there are winning numbers and another has the prize amounts. Children are in pairs as they pick out the balls and sing out a lottery numbers and prizes from the drums. Over the past few years there have been many scams by individuals pretending to be a representative of the El Gordo Lottery. These scammers focus mainly on non-residents of Spain, who are not completely aware of how the lottery works. Therefore, if you didn’t purchase a lottery ticket, then there is now way you won any prize. If in doubt always confirm by contacting the official organization of the Lottery in Spain. To protect players stricter regulations regarding the advertisement of online gambling has been enforced after the announcement from the gambling regulator in Spain, Dirección General de Ordenación del Juego. These restrictions have affected the adverts of services or products in regards to online gambling that focus on players from Spain. By enforcing these new regulations, it will help to not attract underage residents and those who are enticed to gamble. It will also aid in reducing the possibility of creating a gambling addiction. 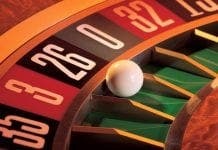 Gambling operators complied with new rules and regulations that were set in place on April 17. There are limitations on any broadcasting of advertisements for gambling that can take place between the hours of 10:00 p.m. and 6:00 a.m. only. The new regulations will directly affect Spanish sports clubs and online regulated markets. With the new regulations enforced any in-show promotions related to gambling are strictly prohibited. In the past year the gambling regulator stated the content changes in advertisements for online gambling. The main goal is to protect young residents and those who have a tendency for chronic gambling. Online gambling has still expanded in Spain as players now have access to online slot machines. For that reason, as well enforcing these new change will protect players more than ever before. If a site is geared towards children or underage residents no gambling marketing schemes will be allowed. Before this law was implemented there was no regulator to oversee the advertising campaigns or content that was being promoted. Now operators must adhere to the new rules and regulations. Gambling is favorite pastime among many residents in Spain. Whether it is lottery, sports, poker, slots or casino games it offers not only an opportunity to win big money but entertainment value that players seek in a safe regulated market. 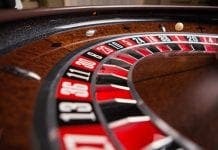 The gambling industry: Spain’s only economic hope?